Standing stones have a long history in landscape architecture. 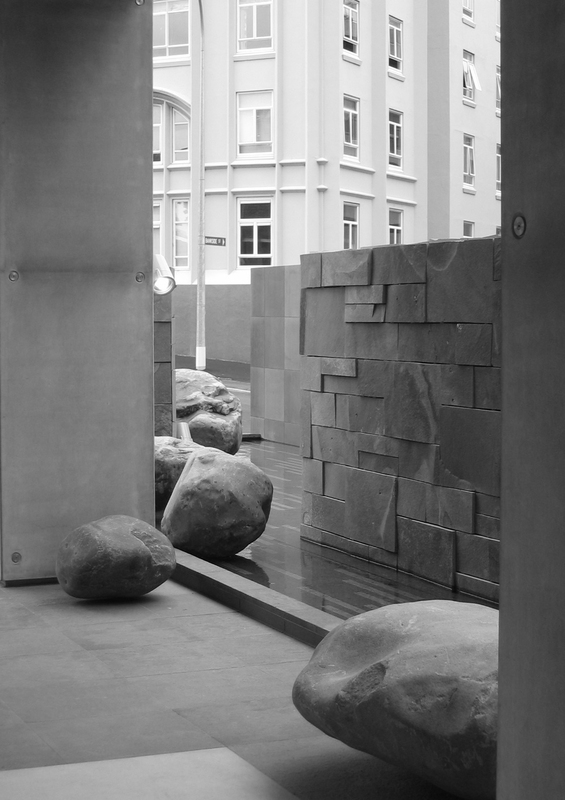 From prehistoric stone alignments to Japanese zen gardens, to the modernist interventions of Walker and Smyth, precisely aligned rocks have been used to signal a connection to forces that are more powerful than human ambition. Lumley Plaza gathers the ancient associations of stones, water and cycad plants in a configuration that emphasizes the strange withdrawal of natural objects from the world of commerce and desire. The ontological depth of rocks has nothing to do with being human. The very qualities that attract us to them are locked away. Their remoteness reminds us of our own.